Water and Gas leaks need to be addressed and repaired immediately. 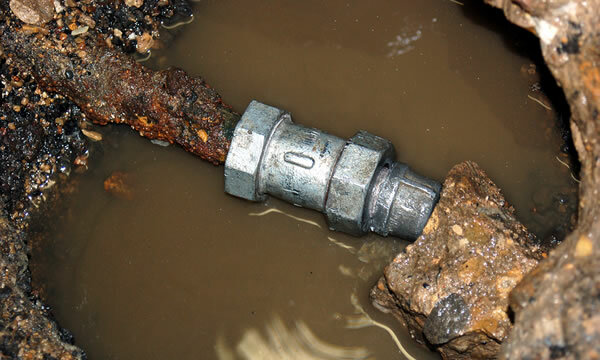 Gas leaks are obviously incredibly dangerous and must be dealt with immediately, but water leaks can be incredibly damaging! What’s even worse is that most home insurance companies will not cover water damage claims that are the result of damage that was not immediately reported. In other words… If you think you’ve got a leak in your home or buildings plumbing or gas lines you need our help immediately. We can document everything appropriately for your insurance company as well if it’s going to be necessary. 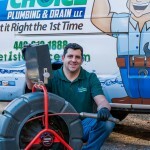 1st Choice Plumbing and Drain is a full service plumbing contractor specializing in leak detection and repairs. Using state of the art equipment we can quickly identify those hidden leaks that nobody else can seem to find. 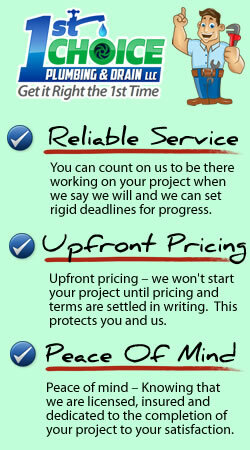 If you are suspicious of excessive water or gas use on your utility bills don’t wait to call us. 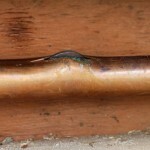 Leaks in plumbing and gas lines are not as uncommon as you might think. We can help you find the problem or rule it out totally. 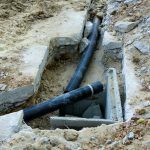 We understand you have many choices when it comes to choosing a plumbing contractor to detect your water or gas leak in the Cleveland, Ohio area. We just want you to know that when you choose 1st Choice Plumbing and Drain you are supporting a small, family-owned local business. We’re big enough to solve your plumbing problems quickly but we’re still small enough to care about every individual customer so they are completely satisfied with our services.